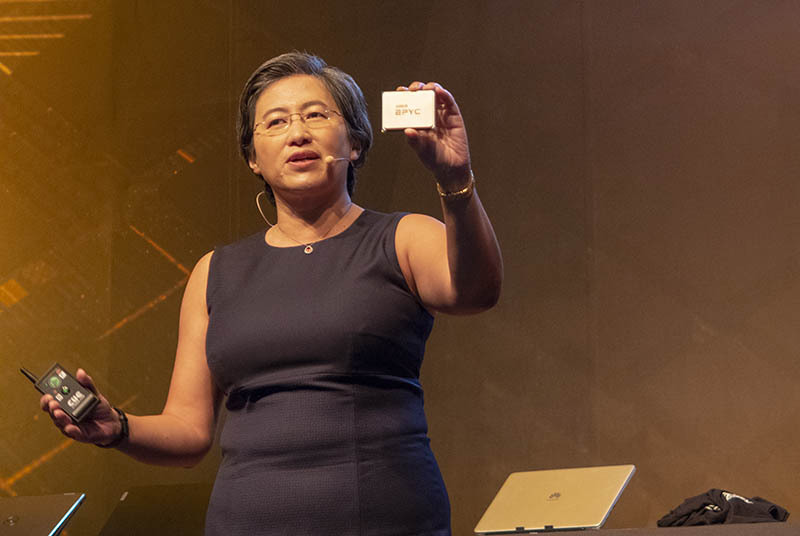 At AMD’s Computex 2018 press conference, the company dedicated a large amount of time for AMD EPYC, despite the show primarily drawing a consumer-focused crowd. 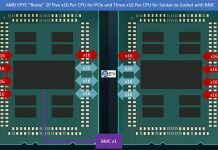 The company first updated on new AMD EPYC ecosystem updates. It closed with the big reveal, talking more about AMD EPYC’s next generation codenamed “Rome”. Needless to say, both sections had some fairly large pieces of news embedded. The next generation of AMD EPYC 7000 series is shaping up to be a Xeon killer. The next-generation AMD EPYC 7000 series is codenamed “Rome” and it is going to be a big deal. Instead of adopting Zen+ like the desktop Ryzen CPUs, the new EPYC generation will use the Zen 2 architecture which means improved IPC gains from two generations of core tweaks. Beyond the IPC gains, the next generation parts will be based on 7nm production. The impact of leapfrogging Intel and using 7nm is several-fold. First, Rome will have up to 64 cores and 128 threads in a single socket. (Edit June 6, 2018: Mea Culpa. Looks like we got some generational information “confirmed” to us incorrectly. Expect a 48 core / 96 thread generation before a 64 core / 128 thread generation. Still quite a huge gap. DDR4 and interconnect improvement information held up to further confirmations. 64 core / 128 thread apparently is still coming, just missed one generation due to a few words not being typed in messages to us.) The new CPUs will be socket compatible with the current SP3 socket motherboards with a small caveat. At STH, we expect Rome to adopt PCIe Gen 4 so motherboards will have to support the higher signaling rates to achieve PCIe Gen 4. We also expect the next generation to have greatly improved Infinity Fabric, an area that the first generation product has room to improve upon. The other key disclosure is that AMD already has silicon in their labs with the next generation AMD EPYC Rome CPUs in their labs. They will be sampling to partners in the second half of 2018 and will launch in 2019. This is going to put a lot of pressure on Intel Xeon as Cascade Lake is not going to come anywhere close to the core count of AMD EPYC’s next generation. Intel is scrambling to build a competitive response. 2019 is going to be extremely interesting in the server market. 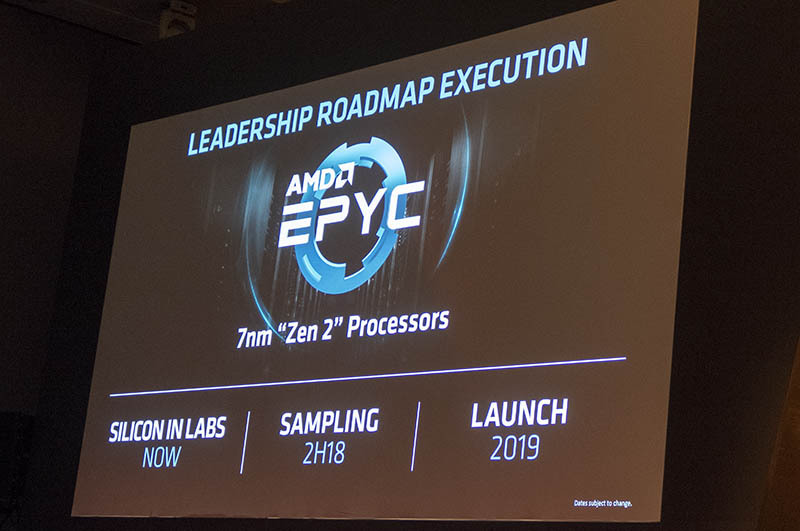 AMD highlighted a few key updates to the EPYC ecosystem including two recent server announcements from HPE and Cisco along with a cloud announcement from Tencent. Cisco last week adopted EPYC in their new UCS platform. For those in the Cisco UCS system who are tied to the Cisco VIC feature, AMD EPYC had not been available, until now. Last week the Cisco UCS C4200 series was launched. We covered the Cisco UCS C4200 and C125 M5 launch here. 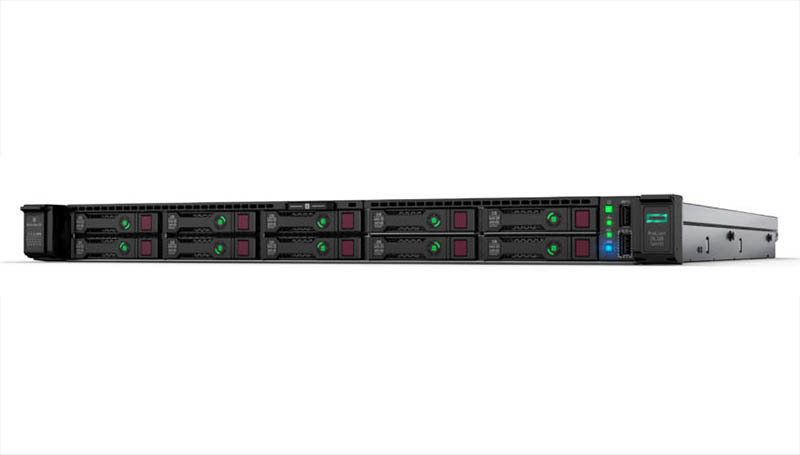 Launching today is the HPE Proliant DL325 Gen10 single socket, single CPU AMD EPYC platform. 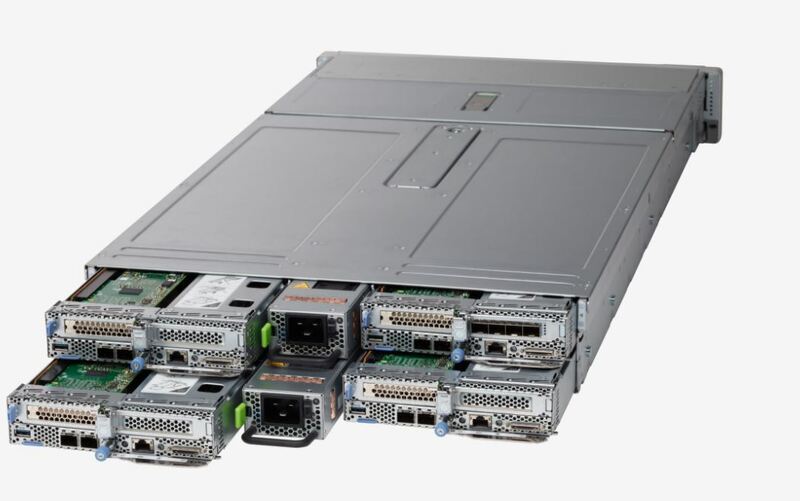 While HPE was the first tier 1 server vendor to announce the availability of an AMD EPYC platform, HPE followed Supermicro’s path and released with a dual socket platform to bring it on par with their mainstream Intel Xeon offerings. In the meantime, Dell EMC released single-socket 1U and 2U servers that we covered in AMD EPYC Powered Dell EMC PowerEdge Servers Are Here. Dell EMC has seen great adoption of their single socket platforms due to AMD EPYC’s Extraordinarily Aggressive Single Socket Mainstream Pricing. It is great to see HPE following suit. On the cloud side, the new Tencent SA1 Cloud Service that was just released is powered by EPYC. The Tencent SA1 cloud instances provide a 30% lower cost per VM. Perhaps the more important fact is that they are available today. Cloud deployments take time so seeing a major cloud vendor deploying EPYC is a big deal. It is a straight loss for Intel Xeon in the marketplace since Intel is starting from near 100% market share. This article was updated shortly after go-live as noted in Edit June 6, 2018 as we had two sources discussing the next generation rather than the 48 core generation. We still expect 64 core / 128 thread, but one generation after the initial 7nm gen.
“Intel is starting from near 10% market share.” I think you meant 100%. Are the 64 cores confirmed? What’s your 64 cores per socket source? Not much of a surprise although they had a roadmap that showed 12 cores/die coming out first in the “starship” processors of 2019 and that they would then move to 16 cores/die in 2020 or so for 64 cores for “rome”. 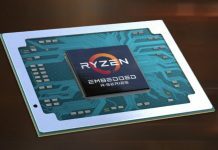 Maybe “Starship” got canned or else these aren’t the chips that AMD was promising for next year. In any event, what AMD is doing for interconnects is more interesting that just throwing up bigger core counts because the issues with existing Epyc servers aren’t solved by just throwing in more cores. 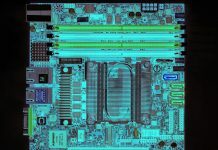 64 core chip? Where are you getting this? 64 core?!! What the wha?! they’re going to release 48c then as Intel releases their response they’ll go 64c. There’s no upside going 64c on the first hop. but 64c is coming at 7nm so that’s right. you just clumped two releases into one when they shouldn’t be. At least a site to do a retraction and update. that’s refreshing to see for once. Seems redundant, to repeat “in their labs” in the same sentence. Honestly, AMD could do with the business. I saw a post online recently, claiming Zen had only sold 5 million chips and it’s been out over a year now, I think? That’s atrocious. Luckily the PS4 , Xbox keeps them afloat, it’d be nice if they got even 20% of the server market. Competition is good for everyone. Fingers crossed for AMD here.